Mix all of the ingredients together to form a dough. Roll out the dough into a circle to fit into pie pan. Bake in the oven at 350 degrees for about 20 minutes or until golden brown. Follow directions on the pudding box to make the pudding. Once cooked place pudding in cooked pie shell. Cover the pudding with waxed paper so it does not get a skin. Place the pie in the fridge to cool. 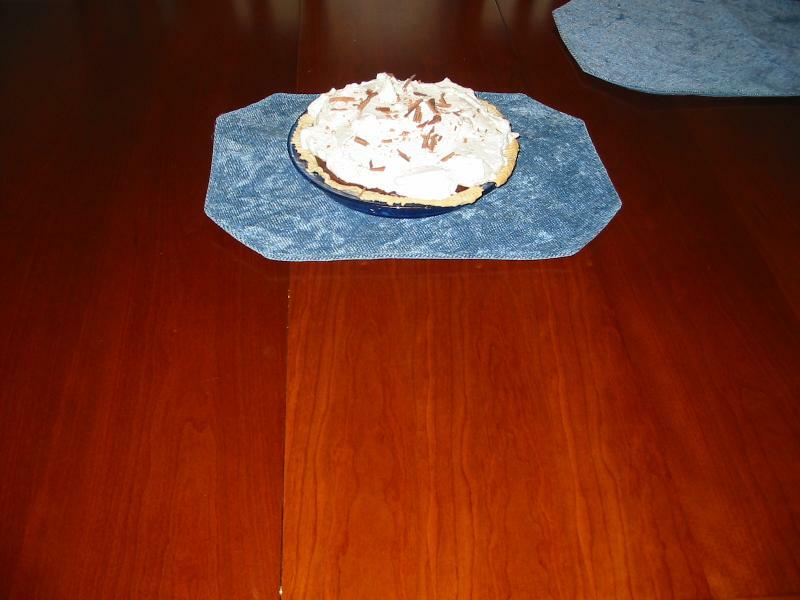 Once cool remove the waxed paper and put whipped cream on top and chocolate shavings or mini chocolate chips. Place mixing bowl and whisk in fridge or freezer to chill. Put ingredients into mixing bowl and whisk at a high speed until peaks form. Spoon whipped cream onto the pie.